In late 2000, Galit Strugano, a Los Angeles native and founder of Girlactik was working as a Hollywood makeup artist. When the glitter craze ignited, Galit found herself frustrated by the mess that glitter makeup made while applying it to her clients. Determined to find a solution, she decided she would develop a sparkle formula that would work effortlessly for her, as well as for her clients. Galit’s concept was simple. 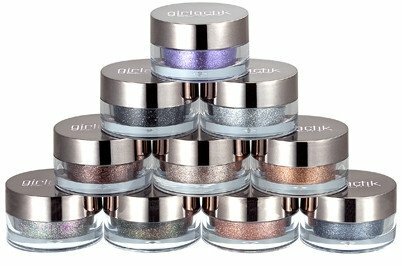 She created “sparkle makeup that actually stayed put.” She invented her signature long-lasting base and easy-to-use fine sparkles. With her makeup expertise, and an eye for beauty, Girlactik was born! Over time, the brand has blossomed to become a true affordable luxury cosmetic with a customer demographic ranging from women in their early 20’s up to their 50’s.